PASADENA, Calif. -- NASA's Mars Exploration Rover Opportunity, one of the twin rovers that bounced to airbag-cushioned safe landings on Mars nine years ago this week, is currently examining veined rocks on the rim of an ancient crater. 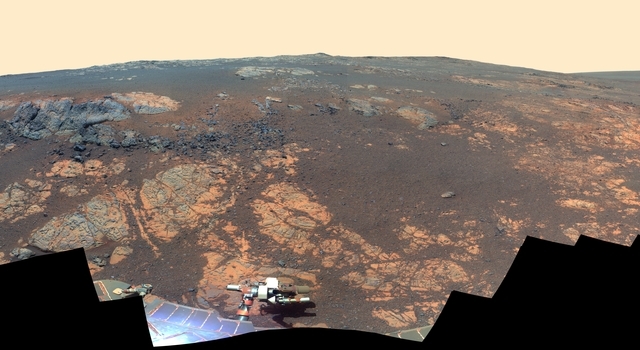 Opportunity has driven 22.03 miles (35.46 kilometers) since it landed in the Meridiani Planum region of Mars on Jan. 24, 2004, PST (Jan. 25, Universal Time). Its original assignment was to keep working for three months, drive about 2,000 feet (600 meters) and provide the tools for researchers to investigate whether the area's environment had ever been wet. 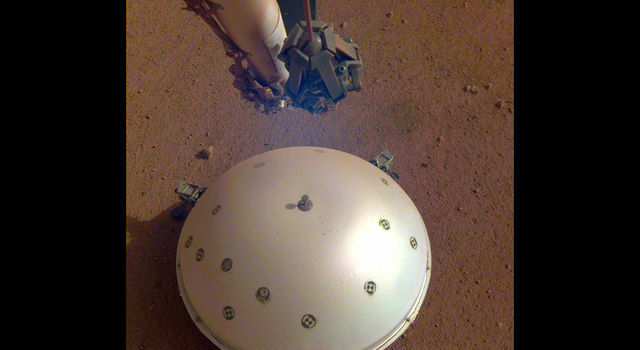 It landed in a backyard-size bowl, Eagle Crater. During those first three months, it transmitted back to Earth evidence that water long ago soaked the ground and flowed across the surface. 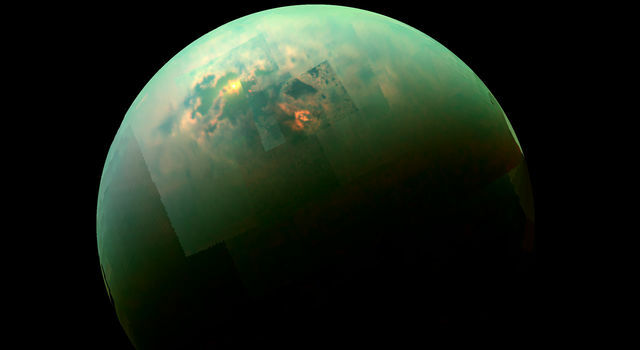 Since then, the mission's team at NASA's Jet Propulsion Laboratory, Pasadena, Calif., has driven Opportunity across the plains of Meridiani to successively larger craters for access to material naturally exposed from deeper, older layers of Martian history. Opportunity has operated on Mars 36 times longer than the three months planned as its prime mission. "What's most important is not how long it has lasted or even how far it has driven, but how much exploration and scientific discovery Opportunity has accomplished," said JPL's John Callas, manager of NASA's Mars Exploration Rover Project. The project has included both Opportunity and its twin, Spirit, which ceased operations in 2010. 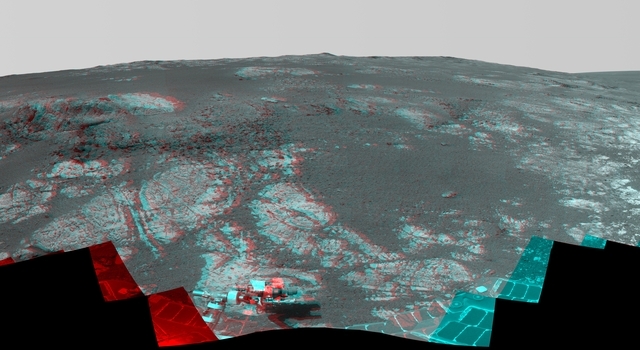 This month, Opportunity is using cameras on its mast and tools on its robotic arm to investigate outcrops on the rim of Endeavour Crater, 14 miles (22 kilometers) in diameter. Results from this area of the rim, called "Matijevic Hill," are providing information about a different, possibly older wet environment, less acidic than the conditions that left clues the rover found earlier in the mission. 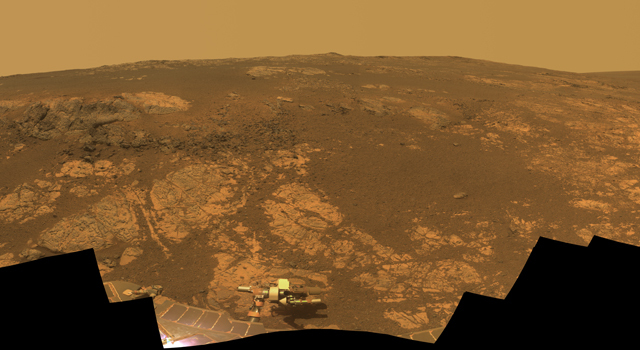 Timed with the anniversary of the landing, the rover team has prepared a color panorama of the Matijevic Hill area. 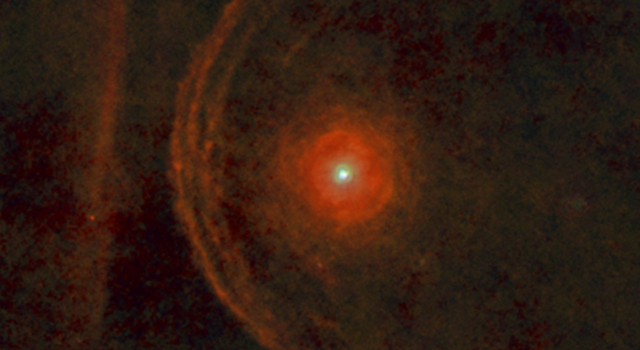 The image is online at: http://www.jpl.nasa.gov/spaceimages/details.php?id=PIA16703 . 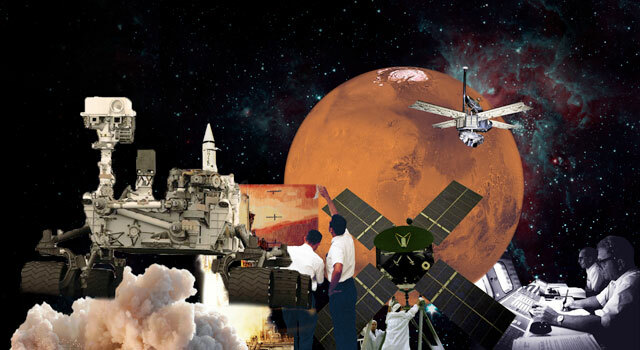 JPL, a division of the California Institute of Technology in Pasadena, manages the Mars Exploration Rover Project for NASA's Science Mission Directorate, Washington. 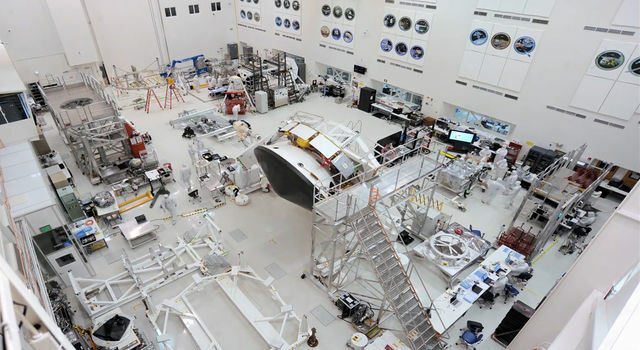 JPL also manages the Mars Science Laboratory Project and its rover, Curiosity.